This “Golden Girl” believes nervous butterflies have a silver lining. 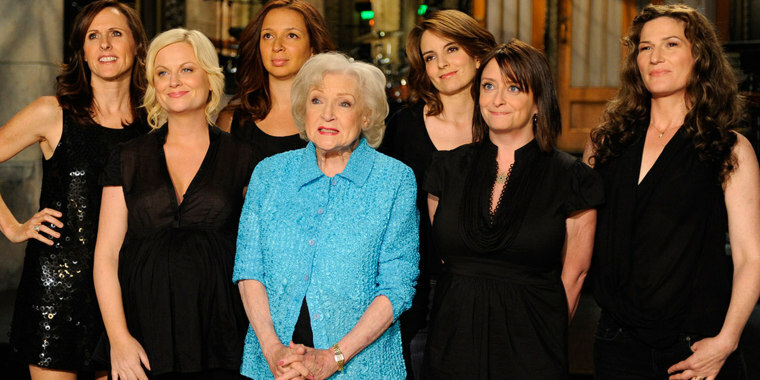 In a new PBS special, “Betty White: First Lady of Television,” the legendary comic actress reveals that hosting "Saturday Night Live” in May 2010 scared her — but that it was actually a good thing. The “SNL” gig came out of left field, sparked by a Facebook campaign that caught the attention and imagination of producer Lorne Michaels. “Maybe I pushed her a little too far and a little too much, because I was pushing her out of her comfort zone,” he explains. But in an instant, White relaxed. “She looked (at me), went right back into the regular Betty White right after she said it," says Witjas. Filmed periodically over the course of a decade, “Betty White: First Lady of Television” also features friends and former co-stars like Ryan Reynolds, who shared his disbelief that she did "SNL" in her late 80s and his delight that she "knocked it so far out of the park." Emmy Award voters agreed. White’s "SNL" hosting duties won her a fifth prime-time Emmy.